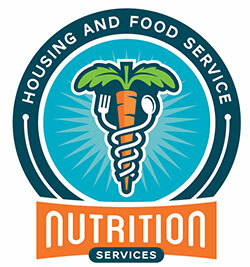 Did you know that University Housing and Dining has a Registered Dietitian on staff? Students can schedule personal appointments with the RD on numerous nutrition related topics, including food allergies and intolerances, vegetarian and vegan diets, weight loss, healthy weight gain, and much more. The Dietitian can also prepare personalized meal plans for specific caloric needs. Please contact the Dietitian for more information. Nutrition presentations on a variety of nutrition topics can be provided to resident groups by the Nutrition Team and/or Registered Dietitian throughout the year. To request a presentation, please contact the Nutrition Team or the Dietitian. The Nutrition Team conducts monthly nutrition activities in the UHD dining locations. Come out and participate in such events as The Whole Grain Challenge (October), National Nutrition Month (March), and various nutrition displays. Come visit us during one of our Nutrition Education Events and you won't walk away empty handed! Looking for some healthier options on campus? UHD provides daily healthy suggestions that can be accessed from our online menu or from the nutrition information centers located in all UHD dining locations. Just look for this icon placed next to our menu listings to see our healthy picks for the day. One of UHD's most important ongoing initiatives is to increase the amount of dining options available to vegetarian and vegan students. UHD dining locations currently offer vegetarian options at every meal and Cypress Bend now provides Meatless Monday dinners every week featuring exclusively vegetarian and meatless entrees. The Vegetarian Focus Group allows students to provide our staff with feedback on their dining experiences so that UHD can better suit their dietary needs and wants. We are dedicated to providing support to students with food allergies through education, staff training, and reasonable accommodations in an effort to create a safe and inclusive collegiate dining experience.